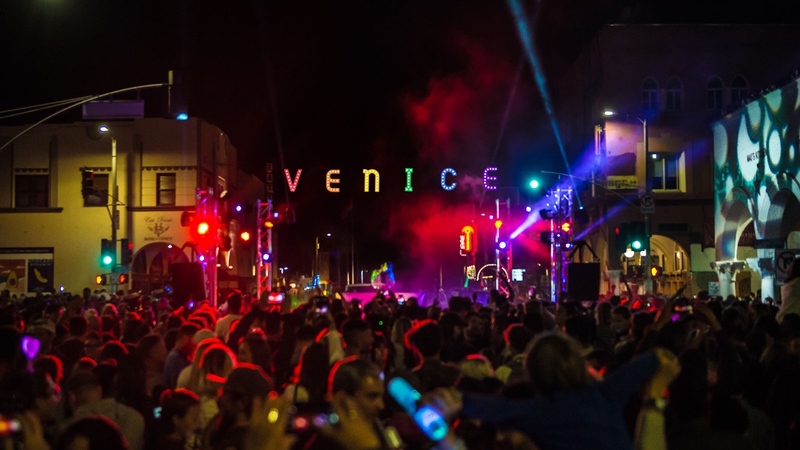 Join us as we celebrate the  4th Annual Venice Pride Sign Lighting & Block Party on Saturday, June 1, 2019! This inclusive celebration of the LGBTQ+ community is FREE and open to the public–so come one, come all. Returning for a third year, DJ Victor Rodriguez (“Bears In Space”) will get you dancin’ to the beats in the street. Need a dance break? Take a stroll towards Windward Circle and explore the community Pride Partner exhibitors. Hungry or thirsty? We thought you might be. Head over to Food Truck Alley where you will find your favorite food trucks waiting. Whether you come to dance, to eat, or simply to celebrate who you are, remember not to miss our magical sign lighting ceremony starting at 8:30 p.m.! Light up the night for equality by adopting one (or more) of the bulbs that will illuminate the Venice Pride Sign for LGBTQ+ Pride Month. Adoptees’ lights will shine bright as a symbol of inclusion on June 1, 2019 and then be shipped to adoptee along with a certificate of authenticity.